What was the AT&T SHAPE: Tech and Entertainment Expo 2017? With AT&T increasingly focused on creating content, Los Angeles is emerging as one of the most important business hubs for the company. In that spirit, AT&T is hosting its first tech and entertainment expo – AT&T SHAPE – on the Warner Brothers lot! When was the AT&T SHAPE: Tech and Entertainment Expo? I went to the Expo on Saturday July 15, 2017. It started on Friday July 14. Where was the AT&T SHAPE: Tech and Entertainment Expo? It was at Warner Brothers Studio and including the studio tour. 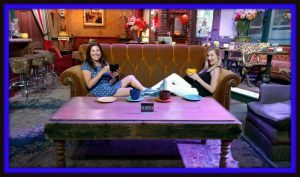 Sara and I loved sitting on the Friends Couch and holding cups for coffee! We tested out green screen and perspective table. I loved seeing the back lots where they film so many movies and television shows. 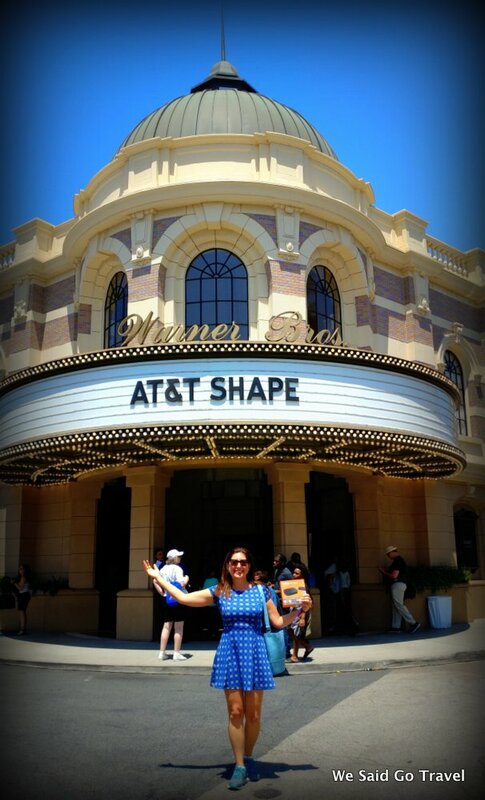 What panels did you attend at AT&T SHAPE? What other panels were there? What was the AT&T Entertainment Project? It was an open challenge for over 1,000 talented storytellers across the U.S. who submitted their short film for the competition. Finalists will be determined before the event and a winner chosen on stage at the event, with their original story potentially airing on AT&T’s AUDIENCE® Network at a later date. 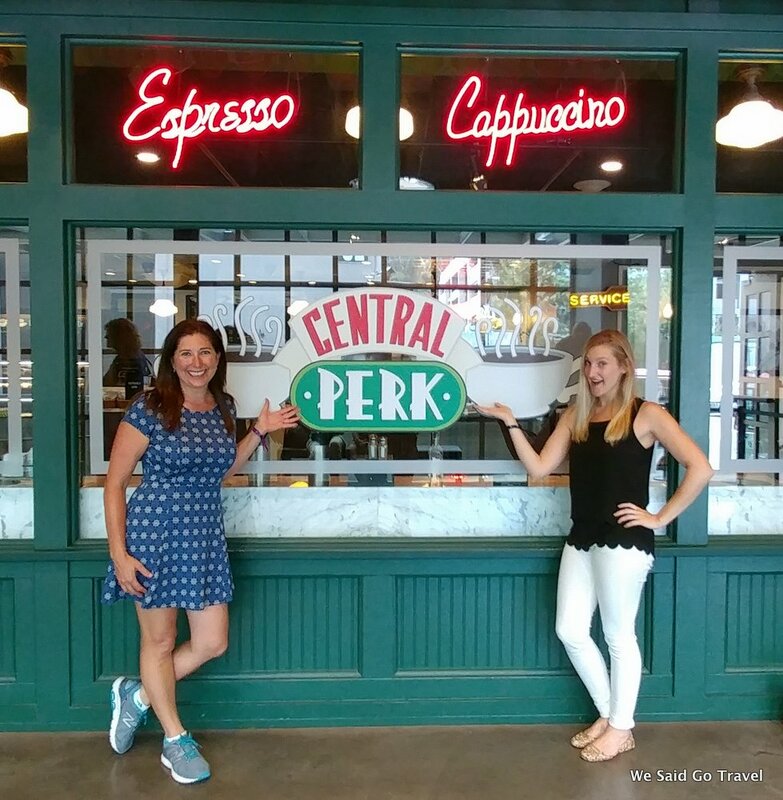 During the Warner Brothers Studio Tour, you can sit on the couch from FRIENDS with your friends! Ericsson will showcase how “5G amps up VR Auto Racing experience,” an auto race like no other with a multi-view perspective from the track & inside the car. Baobob Studios will show INVASION!, a 2017 Daytime Emmy winner for “Outstanding Interactive”. From the director of Madagascar and narrated by Ethan Hawke, comes a colorful VR story about Mac and Cheez, two bumbling aliens with grand ambitions to take over the world. Positron, a virtual reality studio, will present Voyager™ a full-motion platform for premium cinematic VR experiences. The chair provides a highly comfortable, fully integrated personal experience that incorporates robotic rotation and reclining, haptic feedback, spatial audio, scent technology, and specialized seating for motion-synchronized theaters. DJI, as the market leader in easy-to-fly drones and aerial photography systems, will demo their latest professional and consumer technologies. AfterNow is an agile development agency specializing in mixed reality. They will demo a Hololens collaboration tool, including tips on creating user interfaces in AR/VR/MR. Lisa and Sara loved the day at Warner Brothers Studio Tour and AT&T SHAPE EXPO! Will we see you for coffee at Central Perk next year?